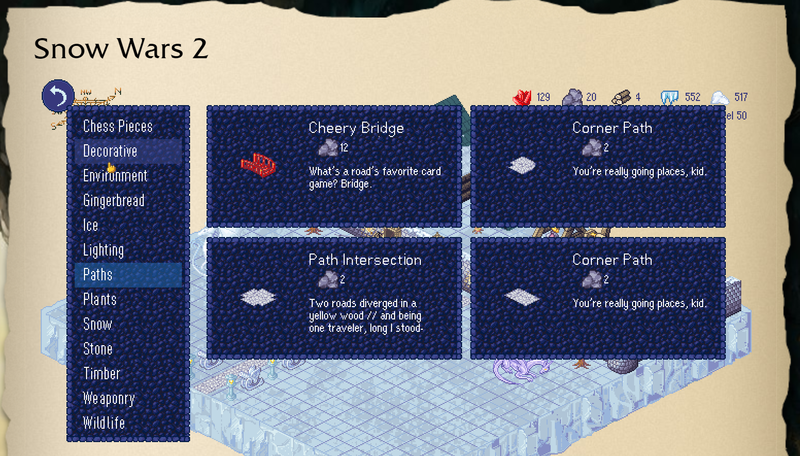 Under "Paths" are: Cheery Bridge, Path Intersection, Corner Path, and Corner Path. But the last one is actually a Straight Path and I feel like the name should reflect that. And of course it's confusing to have two "Corner" Paths.